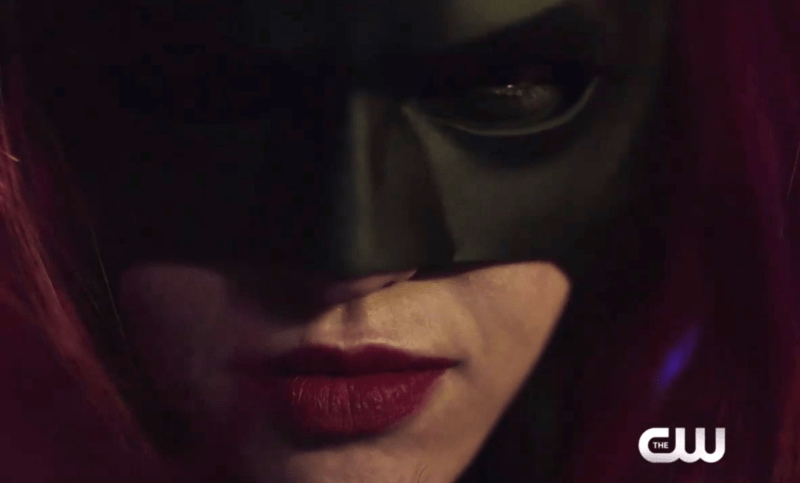 Ruby Rose as Batwoman. Image courtesy of The CW. The Arrowverse is expanding to Gotham City and a new vigilante is revealed. Barry Allen, Oliver Queen, and Kara Danvers take a trip to Gotham City to find the man who has rewritten reality, Doctor John Deegan (Jeremy Davies). While they argue about whether or not Batman is a myth or a living legend, they end up meeting Batwoman (Ruby Rose). As it turns out, Batman is a real person, but he’s been missing for the last three years and Gotham City has become a sad ghost of its past. Batwoman is trying to make things better, but that’s something we’ll probably see more of on her own show. For now, she’ll be helping our original set of heroes get their reality back in order. Batwoman (Ruby Rose) meets our heroes. Image courtesy of The CW. And may we say, she’s looking amazing as she does it. Take a look at her in the newest trailer from The CW below. ‘The Elseworlds’ crossover takes off on Sunday, December 9th, 2018 with The Flash at 8/7c on The CW.